Would you like to enjoy your device Focal? Now that's possible. 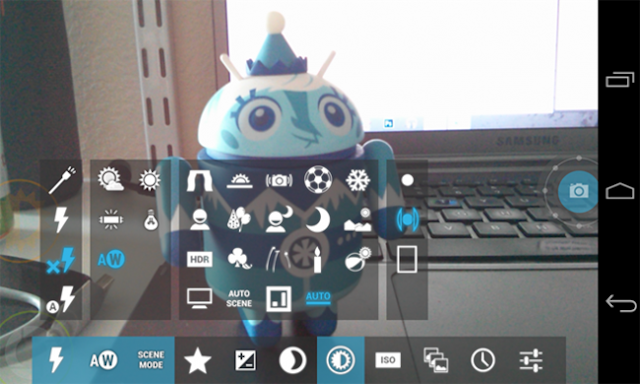 Here we tell you how to install the new CyanogenMod camera application. A couple of days ago I mentioned about Focal , the new camera application that would incorporate future CyanogenMod ROMs. It is a revolutionary app that incorporates major improvements and a great interface. All were looking forward to their release and to whom they were getting impatient I have great news: it is possible to download Focal ! From XDA comes a trial version of Camera Focal CM. It is clear that this is not the final version so it has forced closures and failures and there are functions that need improvement, but nonetheless functional. Focal Recall that allow us to take pictures, record videos, take panoramic photos, Flash, White balance, lots of scenes, color effects, color enhancement, ability to adjust ISO, burst mode, timer and all in one interface simply magnificent. The idea behind this release is to get feedback from users to be polishing details and improve the application faster. Focal has been added to CyanogenMod repositories and when fully completed will default built in ROMs CyanogenMod 10.2. So you know, if you want to try this new camera app right now, give click the link below. If you decide to try it please tell us your experience in the comments!